I'm ashamed to say how long it took me to "get"t this one. I say the spoon but didn't see the caption. 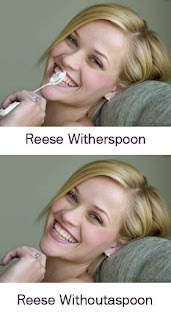 I think it would have been funnier for the caption to read "Resse Withouterspoon".